Conditions could not be more challenging than in Borneo's rainforest, where temperatures reach up to +30 degrees Celsius and humidity can be as high as 100 percent. Accessible only by boat or plane, the wilderness of Mulu national park, a UNESCO world heritage area since 2000 covers about 544 square miles, an area equal to the size of Singapore. The Gunung Mulu National Park covers an area of about 544 sq. km, as big as Singapore and about half the size of the Blue Mountains National Park in NSW, Australia. Crowned a World Heritage Area by UNESCO in 2000, this tropical rainforest is home to some of the largest documented cave systems on the planet. Operating as a national park since 1974, Mulu obtained UNESCO world heritage status in 2000. Borsarmulu Park Management Sdn. Bhd is an international company, based in Sarawak, that provides complete tourism services for the industry and the Borneo Government, and manages Mulu. The Mulu Batcam project’s broad requirement was to enable the capture of clear video images and sound from selected sites within the cave network to observe and monitor wildlife, and to provide real-time surveillance of the remote sites. Within this giant space, the environment is oppressive; day-time temperatures typically hover around 30°C, with humidity ranging up to 99%. In 2006, ctg Security Matrix Pty Ltd facilitated the initial installation, including the back-breaking task of cabling kilometres through the inhospitable jungle environment. 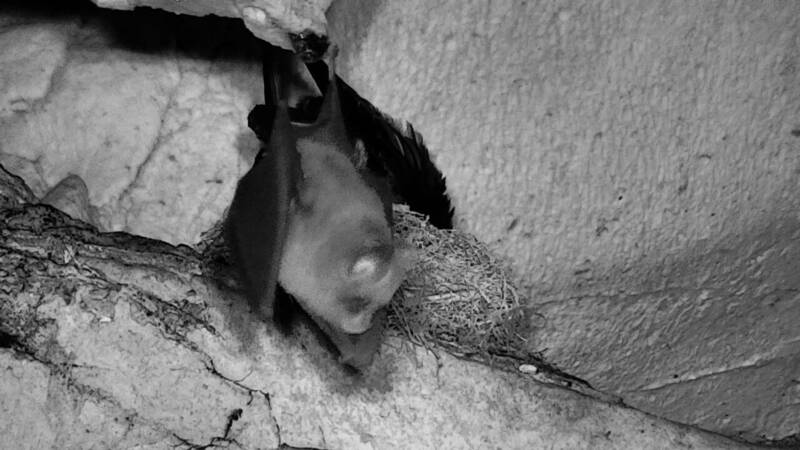 When the Batcam project required an update in 2016, Mr Charles Tomas, Principal and Specialist Operational Security Advisor at ctg Security Matrix, was called upon once again. Having some recent experience working with the Bosch MIC cameras, he recommended them for the challenging task - to place 3 ROV cameras inside the largest cave passage in the world, to be connected and remotely controlled via a fibre optic line some 3.8 km away. Mulu is a truly wilderness, accessible only by plane or boat. All tools and equipment had to be flown in, then carted or carried to the destination, and painstakingly installed in the cave system. The Bosch MIC cameras were the perfect choice for this harsh environment, and more than met the requirements. Park visitors, Borsarmulu Park management and scientists can now observe the bats (as well as other creatures that dwell in the cave system) up close without disturbing their habitat. Borsamulu Park management and CTG Security Matrix agree that the Bosch MIC cameras are an amazing product, working in a very challenging environment.